We begin this week's news by discussing Mark Zuckerberg's interest in decentralisation, as he made it his 'challenge of the year' to study how it could 'fix' Facebook. Speaking of Zuck, XRP (Ripple's crypto-currency) had an incredible run up peaking at over $3.80, making Ripple co-founder Chris Larsen actually wealthier than Mark Zuckerberg for a short period of time. This massive run saw Ripple monetarily become the second largest crypto asset in terms of market cap, so, as you can imagine Simon and Colin discussed the project at great length! Regulators are always a hot topic in the crypto sphere and this week was no different as Texas regulators ordered Bitconnect to cancel their token sale. We also saw Visa drop their cryptocurrency backed debit cards due to violation of operating regulations, which had users scrambling. Tying into 'dropping users', Bittrex, Binance and Bitfinex all halted new user sign ups due to incredible demand. Binance in particular claimed that they were seeing over 250,000 new users a day at one point, this enormous volume evidently reflecting the current rush of retail investors into the crypto space. Could these issues give decentralised exchanges an important role to play in 2018? Next, the Bank of England drops plans for its own cryptocurrency, fearing instability. Government backed cryptocurrencies stories really started surfacing in 2017, and it seems 2018 is no different. Moving on to some stranger news, we discuss Dentacoin- a dentistry based cryptocurrency that shot up 900%. Does this reinforce fears that the crypto market is in bubble territory? As always there's an array of topics we didn't have time to discuss including: Qtum - the next big thing?, Bitcoin Miners Shifting Outside China Amid Clampdown and What crypto didn’t give us in 2017. 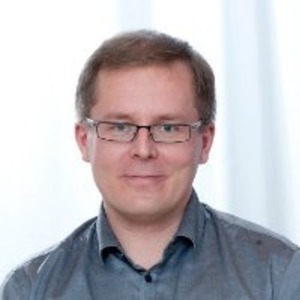 We also bring you an interview with Nordea's Head of Blockchain and DLT, Ville Sointu.